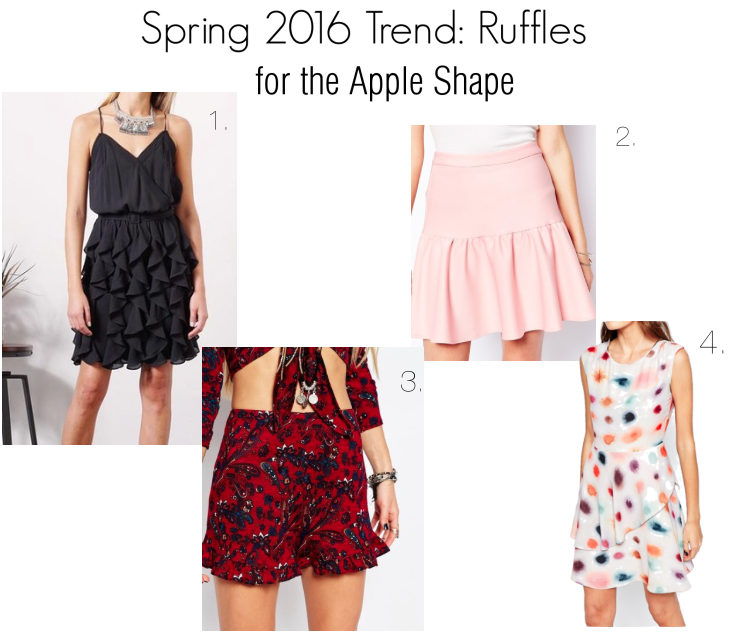 STYLE TIP: Avoid skirts and dresses that have larger ruffles, as they will make the hips appear wider and the upper body smaller. Opt for ruffled blouses and sleeves that will draw the eye upwards, while adding dimension, balancing out those fabulous hips; them hips don't lie! 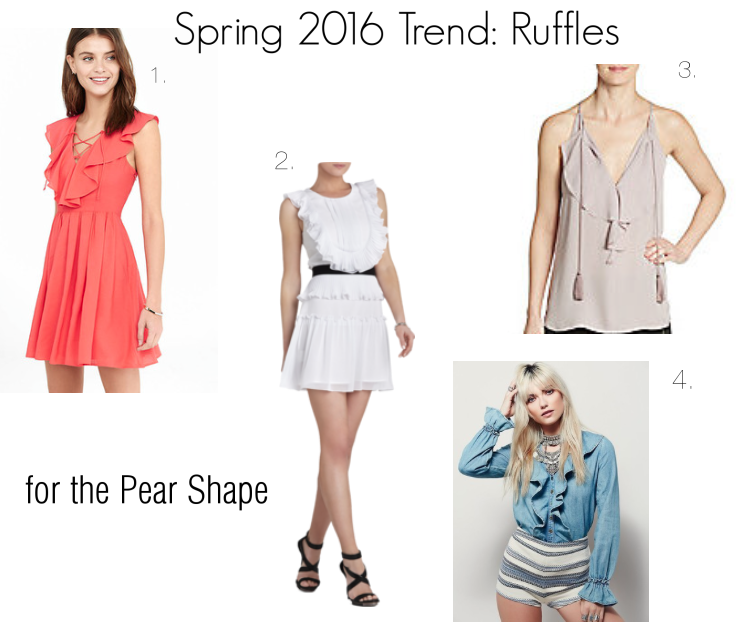 STYLE TIP: Have fun playing around with various ruffle pieces, adding dimension and focal points where you so choose. You have a fabulous canvas to work with, embrace it! 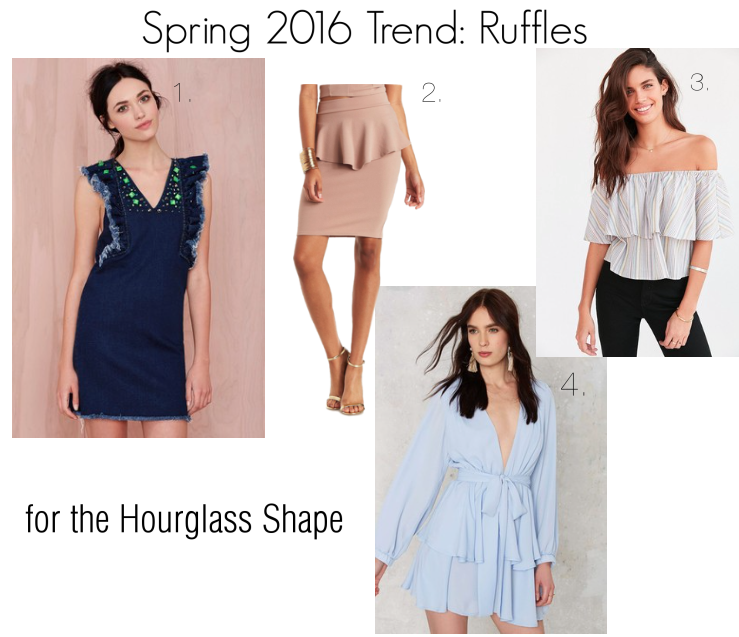 STYLE TIP: As with the rectangular shape, you can opt for ruffle pieces in all shapes and sizes. You have curves on both the top and bottom portions of your body, so don't hide everything, babe! Instead, look for pieces that allow your natural curves to shine through by selecting pieces that either hug your curves or wear a more tailored piece on the opposite end of where your ruffled piece is worn, i.e. a ruffled off the shoulder top with a pair of skinny jeans. 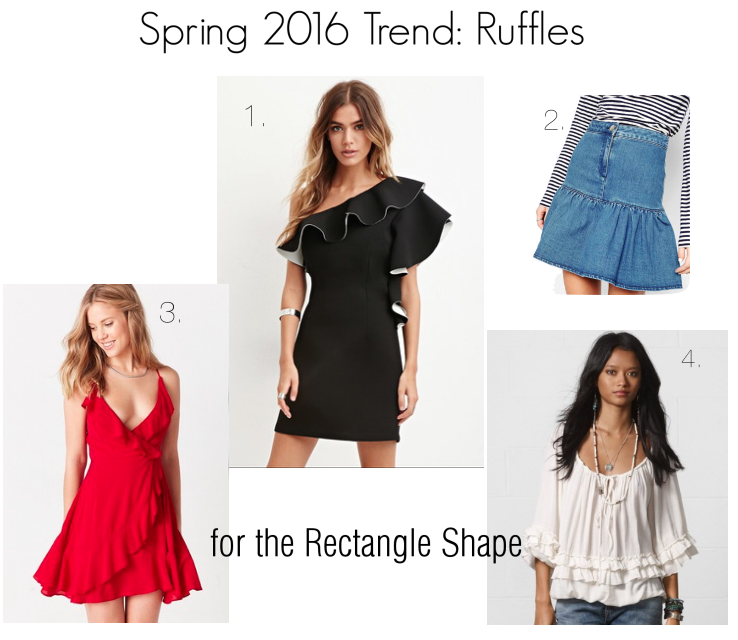 I hope you found this post helpful in selecting the most flattering ruffle pieces for your body shape. Thanks so much for stopping by and I hope your day is as fabulous as you!